Ring in the Lunar New Year (February 5th) with our deluxe Year of the Pig box! 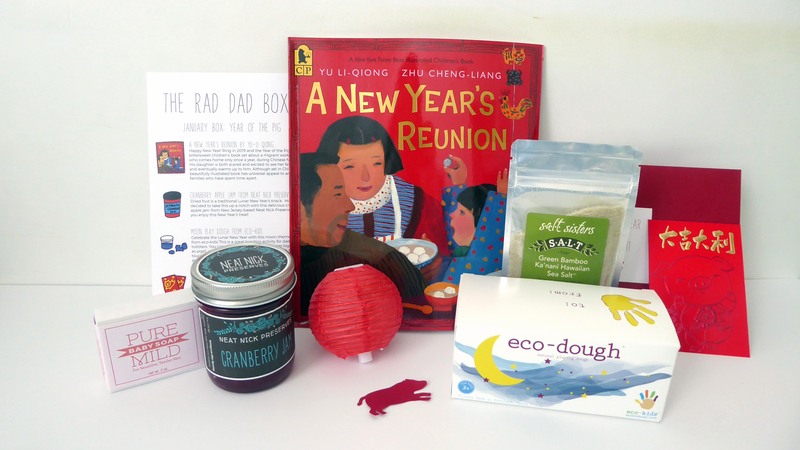 Specifically curated for toddlers and Dads of toddlers, this box includes a Dad-themed Lunar New Year book, a jar of Cranberry Jam from Neat Nick Preserves, "moon" eco-dough from eco-kids, Green Bamboo Hawai'ian sea salt from s.a.l.t. sisters, Baby soap from Sallyeander, a Lunar New Year Craft activity from us, and a small red paper lantern.